Samsung has changed itself a lot in all virtue. Even if we talk about its gadget or marketing strategy then Samsung has defined it good position in the market. Samsung has launched a no. 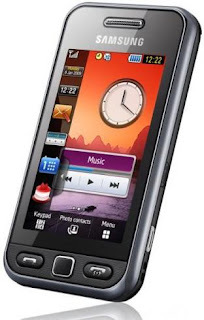 of product this year but its handset S5230 turn out to be a millionaire as Samsung Star S5230 has sold more than 5million handsets in the market. Samsung S5230 measures 104.0 x 53.0 x 11.9 mm in size and weights about 93.5 gm this is a touch handset which is compiled with the latest features and dashing look which attracts most of the people towards it. The Samsung Star s5230 is configured with network GSM 850/900/1800/1900 MHz, GPRS/EDGE class 12, 3-inches TFT touch screen offering 240X400pixels, internal memory of 50MB, micro SD card hold upto 16GB, 3MP camera with smile detection, Bluetooth 2.1 version, Document viewer, FM radio with recording, 800Hrs standby mode, touch screen. Samsung S5230 is priced at about Rs. 9000.